ALL PRICES PLUS TAX, TAG, TITLE, MV FEES AND $75 DOC FEES. DEALER RETAINS ALL FACTORY REBATES AND INCENTIVES. OFFERS CANNOT BE COMBINED OR IN CONJUNCTION WITH ANY OTHER ADVERTISED OFFER OR INCENTIVE. While great effort is made to ensure the accuracy of the information on this site, errors do occur so please verify information with a customer service rep. This is easily done by calling us at or by visiting us at the dealership. 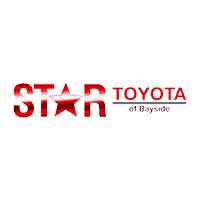 Star Toyota of Bayside	40.7583627, -73.7802878.